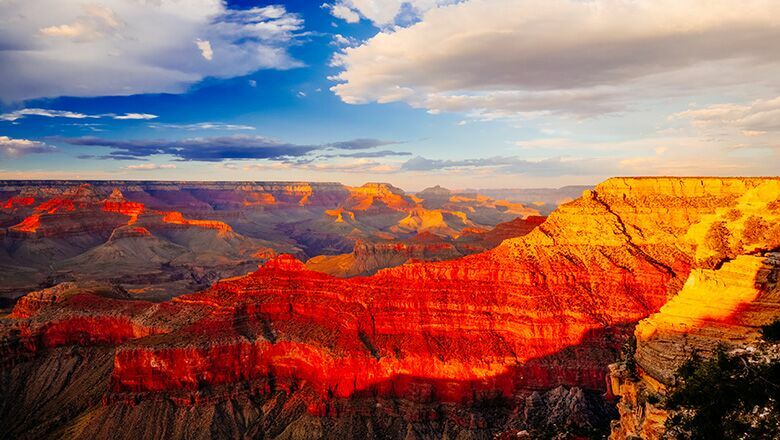 One of the planned day trips added to Vegas itineraries is a bus trip to the Grand Canyon. We, at Grand Canyon Destinations, pride ourselves as being a premier bus company – supplying luxury buses for Grand Canyon journeys to the South Rim and West Rim. Return from the Grand Canyon to Las Vegas at night, and marvel at the lights of the Strip. We provide passengers with an amazing day – one filled with a variety of interesting sights and attractions at the Canyon, at stop-off points along the way, and in Vegas itself. Our family-owned bus service company works at providing customers with luxurious amenities – all at one low affordable rate. Not only do we provide comfortable and adjustable seats on our buses, we also feature individually controlled air conditioning, and panoramic windows views. When you embark on your Grand Canyon to Las Vegas return, you will be glad that you took a break from gambling and chose to take this day trip. By traveling in one of the luxury buses, you will experience the ultimate in comfort. As noted, our buses are designed to enhance the level of relaxation for anyone travelling a longer distance. Besides arriving in comfort, passengers can take part in guided walking tours in the South Rim or West Rim of the Canyon. If you take part in a walking tour and it’s your first time visiting the Canyon, you should choose the South Rim. The South Rim is not as remote as other areas, and features some easy to moderate walking paths. Our friendly guides provide tour guests with all the details about the sites – sites such as the Grand Canyon Village and scenic vistas such as Mathers Point. Whether you wish to view the wildlife or want to leisurely stroll down the Grand Canyon Trail of Time (a geological exhibit), you will find that your return from the Grand Canyon to Las Vegas will allow you to place a new perspective on life. Visit the Grand Canyon and explore Vegas on your next vacation. You can do both when you contact us here at Grand Canyon Destinations. We can arrange on-time pick-up from your Vegas hotel and an on-time return in the evening. Book travel with us now, and add a little diversity in your Vegas vacation plans.